Bursting with love , our fragrant bright butterflies are sure to bring a smile ! 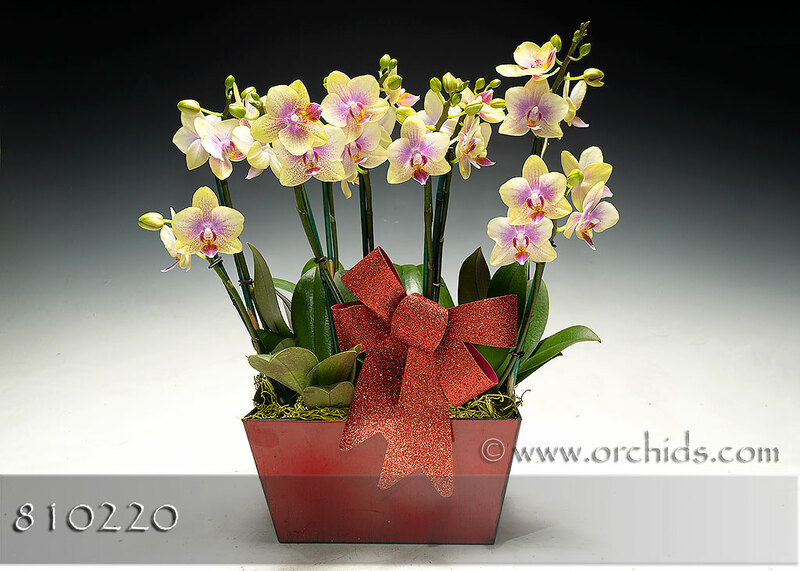 This spectacular Combo, standing 18-20” in height, will arrive with three Phalaenopsis bearing 4-6 spikes of small yellow and coral pink flowers. To finish this love-filled gift, our design staff will artistically arrange them in our very special decorative cachepot, gracefully add the very special accent of designer reindeer moss. Completing this presentation will be the finishing touch of a soft bed of jade Spanish moss.